Norma is an experienced, licensed massage therapist whose talent is not limited to traditional massage. 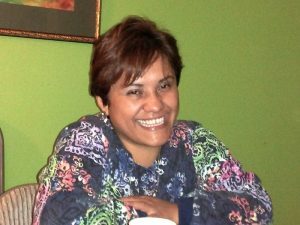 Norma can incorporate Reiki and other energy work, aromatherapy, sound and vibrational therapy into her massage sessions. 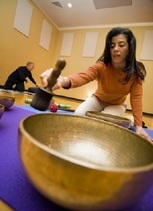 These sessions may include tuning forks, singing bowls and other sound tools, or she offers sessions in any one of those healing modalities. She is an experienced and knowledgeable teacher. She also offers Reiki classes for all levels, sound meditations, nutritional workshops, Quantum Healing Hypnosis Therapy (past life regressions) and other spirituality classes. Norma has spent over 15 years in profound studies of esoteric teachings and mysticism. She travels extensively visiting indigenous cultures; studying and exchanging knowledge with shamans, medicine men and healers in various capacities. Learning the many different paths we can access and use for healing is one of her passions. She extracts the fundamental teachings she has learned and expresses them in practical ways to others. 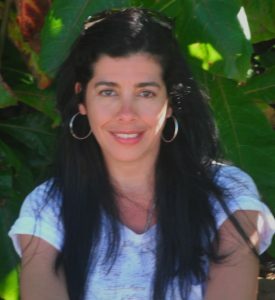 She also shares her great love, respect and unique ways to connect and establish a natural communication with Mother Earth and nature. Laura’s background in Art stretches all the way back to childhood. She is an Artist that works in many different mediums; from painting, drawing, and photography to jewelry design and metalwork. She went to college for Graphic Design, and worked as a designer and illustrator for about 15 years. Laura loves art and its history. Currently she is an art history college professor in Memphis, and occasionally still work as a designer and illustrator. 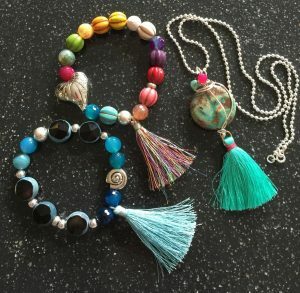 She has been designing jewelry for over 20 years. 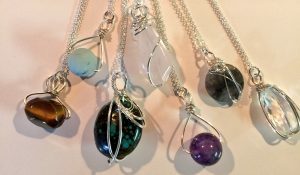 The jewelry designs are all one of a kind pieces using various metals (14 karat gold, sterling silver and copper) and a variety of gemstones. “The spiral is an inspiration to me, I am fascinated by it and its incredible and long history.” It is very possible that you will see a spiral in most of the jewelry and art she makes. You may find Laura at times helping at the store. Abigail is a native of Mexico where she studied and worked as a Graduated Nurse. She has been involved in natural and holistic therapies from childhood. She has studied Reiki with Norma, and has been actively practicing by her side at The Circle for the last 3 years. During the sessions she incorporates the use of crystals. Aby is also experienced and knowledgeable about flower and herbal remedies. She is a Bach Flower Therapy practitioner and can suggest or prepare personalized blends for her clients. Meg Zachry, a native Tennesseean, was raised primarily near Washington D.C. She is a graduate of Rhode Island School of Design, Providence Rhode Island, and studied for a year in Rome, Italy. Meg works in many materials, making use of whatever she feels best captures her subject. Her work shows her love of the world and reflects her spiritual nature. Meg now lives and works in Memphis. Rebecca Leigh has had the ability to see, hear, and communicate with spirit since she was a child. 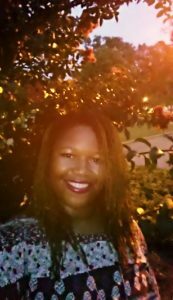 Raised in a spiritually open family, she has spent years cultivating her abilities through a wide array of research, educational opportunities, and spiritual teachers. As a seeker, she continues a life-long quest to expand her knowledge spiritually and how to best use her gifts to help others, with love and compassion. 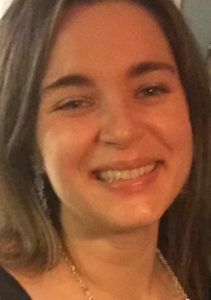 Becca is able to deliver messages from the spiritual realm by connecting with spirit, via the client’s energy or through psychometry (reading energy through a personal object, jewelry, etc.). A private and confidential session provides guidance and clarity for one’s spiritual and life journey, in the present moment and in the future. A portion of each session will be donated to St. Jude Children’s Research Hospital. Osaiyekemwen Okunbor, MS, is a native of Nigeria. She is a Certified Breathwork Facilitator and Reiki Master. With a background in mental health counseling, she has spent the past ten years learning different forms of healing from trauma, addiction, and various challenging life experiences. Her passion is to bring truth, understanding, and love to the often times difficult process of emotional, mental, and spiritual transformation. Through her own personal path of healing, she found Integrative Breathwork, a psychospiritual modality that uses breath, art, music, and touch as the catalyst for deep healing in the psyche, spirit, and physical body. It is powerful soul work that can provide relief from emotional blockages and set you on a path towards growing into who you are meant to be, living life to your fullest potential. 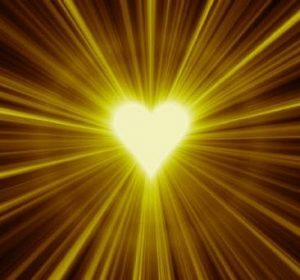 Through Breathwork, a sacred safe space is created for clearing and integration of past hurts and pains allowing you to blossom into the beautiful powerful spiritual divine being that you are!